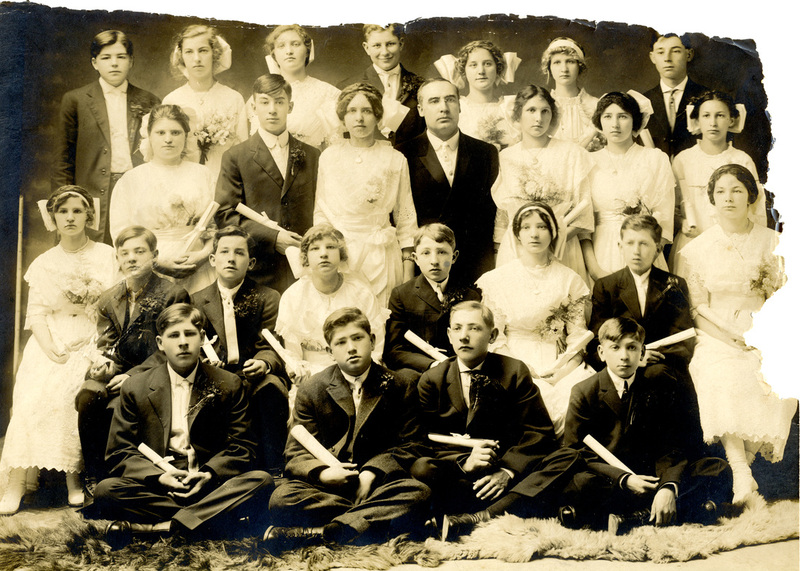 The Ebenezer German Congregational Church Confirmation Class of 1911 or 1912 (date unconfirmed). Rev. Johannes Hopp stands in the center of the third row. Photograph courtesy of Sheryl Scarbrough.